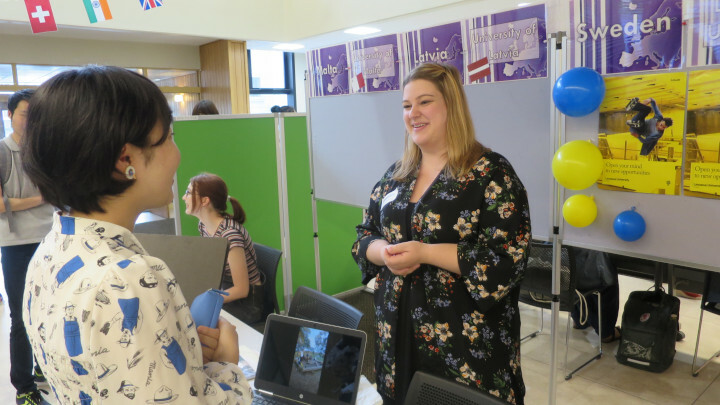 2018 AIU Study Abroad Fair a Success! 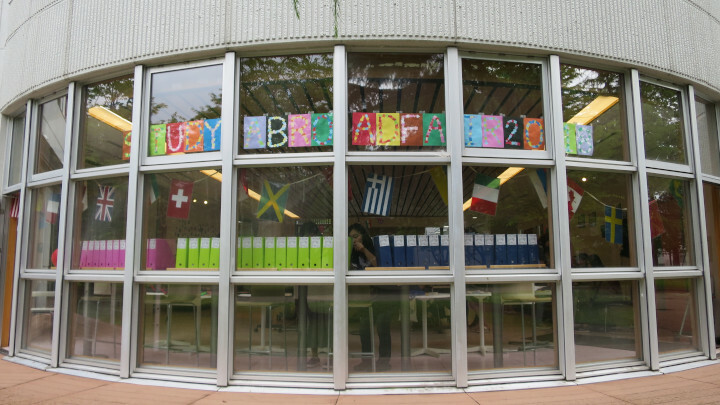 The Student Hall was colorfully decorated with posters, balloons, and national flags for the two-day 2018 AIU Study Abroad Fair events on June 28 and 29. Exchange students and AIU senior students representing 49 partner institutions from 23 countries and regions volunteered to recruit new students to study abroad at AIU’s 190 international partner institutions. Entrance to the fair venue. 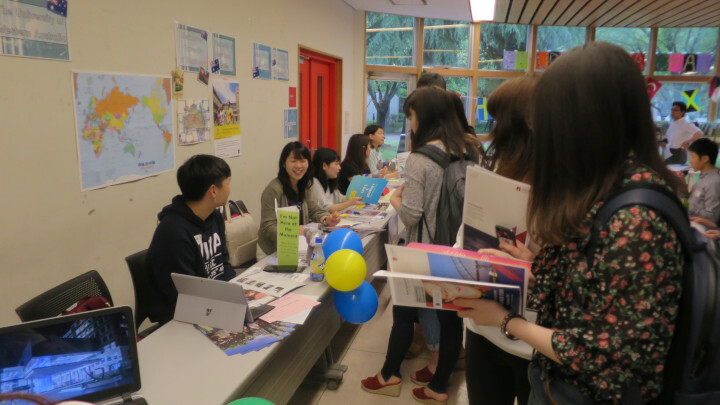 Although the fair was held in the middle of class hours across two weekdays, more than 150 students visited over the course of the fair to talk with the enthusiastic volunteers and gather attractive and memorable university goods provided by our partner institutions. Exchange students representing Linnaeus University (Sweden) and University of Malta (Malta) share their experiences with future study abroad students. The Oceania booths were packed with AIU students asking questions. 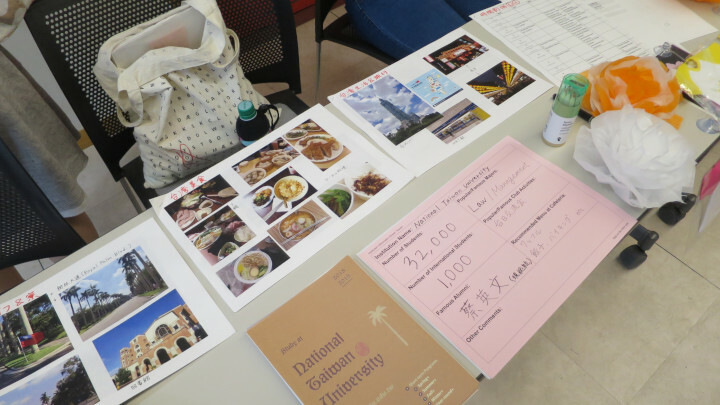 Students' beautiful presentation about food cultures and sightseeing spots around National Taiwan University. All Akita International University students are required to study abroad for a year at one of our partner universities. The annual study abroad fair is their best opportunity to get information about their options. 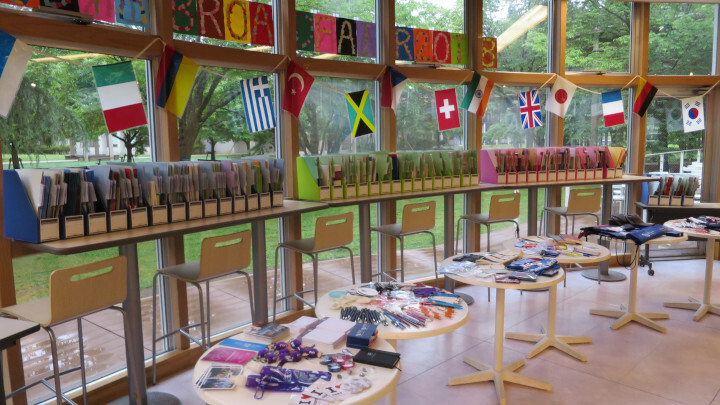 Exchange students from our partners, as well as AIU students who have returned, pass out pamphlets and promotional goods supplied by our partners, and talk about their own personal experiences to encourage others to follow in their footsteps. 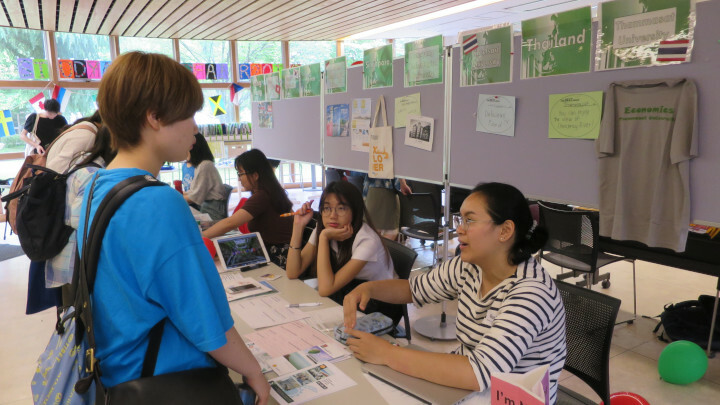 Volunteer students from Thammasat University (Thailand) and Kasetsart University (Thailand) talk about their schools and college life in Thailand to AIU students. 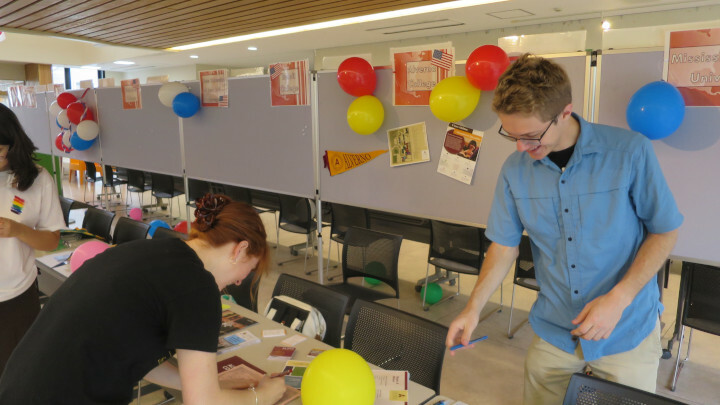 Volunteer students from Alverno College (United States) and Mississippi State University (United States) decorating their booths to attract visiting students. University goods and materials provided by partners. Thanks to all of our partners! Thank you to all of our volunteer students and partner universities who made this fair a success!